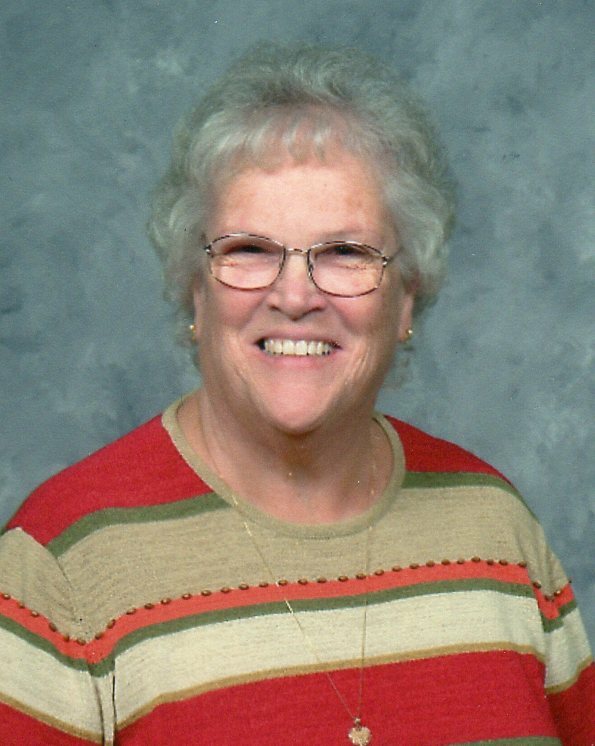 Charlotte Ellen Hollenbaugh, 75 of Prospect , died April 14, 2015 at The James at O.S.U.. She was born September 12, 1939 in Upper Sandusky to the late Harry and Florence (Holycross)Dillion. She married Larry Hollenbaugh on April 27, 1958 in Upper Sandusky and he survives. Also surviving are her four children: Daniel (Amy) Hollenbaugh of Marion, Debra Fridley of Manchester, New Hampshire, David (Tracey) Hollenbaugh of Jamestown and Darrin “DJ” (Holly) Hollenbaugh of Marion. Ten grandchildren: Kari Fridley , Dallas Fridley III , Noah Hollenbaugh , Rachel Hollenbaugh , Leah Rzepka , Ryan Hollenbaugh , McKenzie Hollenbaugh , Ethan Hollenbaugh, Jenna Hollenbaugh and Rachel Brown. Two brothers: Leonard Dillion of Upper Sandusky, Harry (Peggy) Dillion of Harpster and one sister: Mary Davey of Arlington Texas. Charlotte was a longtime resident of Prospect, where she lived for 43 years. She graduated from Upper Sandusky High School in 1957. Friends may call Friday April 17, 2015 from 4-7 pm at the Fulton Creek Friends Church, where funeral services will be held Saturday April 18, 2015 at 11:00 am, Pastor Dennis Peters will officiate, burial will follow in the Prospect Cemetery. My deepest sympathies for the loss of your mother. Sending prayers for comfort at this difficult time. May your heart be filled with loving memories that grant you peace. Just wanted to express my sincere and heartfelt condolences for your family. I know that with the love and support of your family, that all will get through this difficult time. deepest sympathy to you Larry, and your family members. Death is never easy for any of us, but as Christians, we know where the final destination is for our loved ones. We're so sorry to hear of your lost. We didn't know Charlotte very long but we enjoyed her company in the time we had with her. Our thoughts and prayers go out to Larry and the family in this time of grief. Dear Larry and family, your loss is felt to many of us who loved Charlotte. Her personality made her a joy to be around and she gave of herself to every situation. She loved the Lord and he blessed her with gifts for others. Life goes on for her family and her presence lives in them. God bless you all accept our prayers and love at this time. Words cannot express our shock and loss of Charlotte.I can never remember a time of seeing her when she didn't have that beautiful smile on her face. Our loss is heavens gain as she is certainly organizing something there. You never get over missing them but relive all the good times and the love you all shared over the yeas. She was a great gal and will be missed by many,many people. I'll say a prayer for all that we will once again be seeing her before we know it and what a great day that day that will be. Sincere Sympathy to Family and Friends as You Mourn Your Loss. Please accept my condolences on the loss of your mother. I always enjoyed our friendship back in middle and high school and the good memories we built together, and I always appreciated the warm welcome of your mother around the schools for ballgames and in your home. I trust life is good for you these days. Just know I care and have lifted you all up in prayer this morning. Larry, our condolences to you and your family. May she rest in peace. We are so very sorry for your loss. Prayers for you and your family. Our thoughts and prayers are with you and your family as you grieve over the loss of your wife Charlotte. May God's presence in your life give you support during this time. My heart is saddened by the passing of Charlotte, she was so kind and loving to me, loved her smile and encouragement to me as I went through struggles, she will be truly missed, now she can join the familiar smiles that await her in her Home up high!